EAP-SIM is one of the authentication methods that can be used in an 802.1x or WPA Enterprise network. Specifically, it relies on the user’s SIM card to process a presented challenge. This has been used by some telcos to provide WiFi service without having to maintain a separate set of credentials. 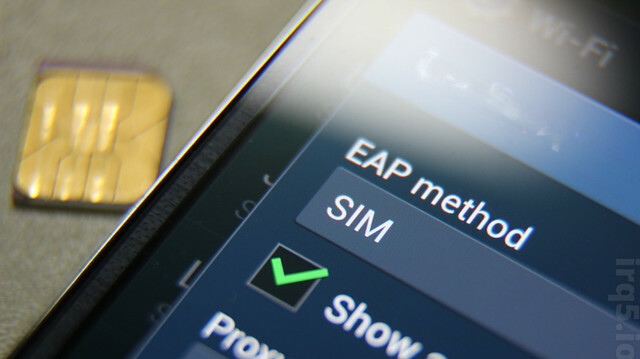 However, not all phones support EAP-SIM.